I’m pleased to tell you that the NSPCC, the UK’s leading children’s charity, delivered their ‘Speak out. Stay safe.’ programme today Tuesday 2nd October 2018. This is a nationwide programme aimed at every primary-school-aged child in the UK and Channel Islands. 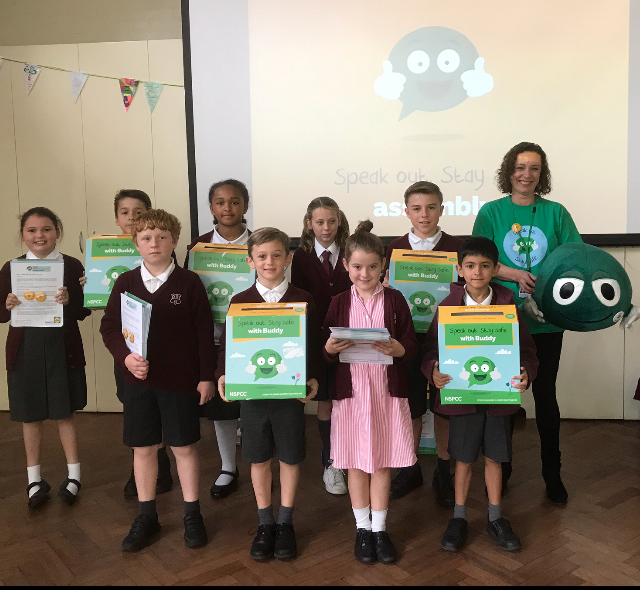 With the help of their friendly mascot Buddy, Rachel, form the NSPCC, presented an assembly to the children in our school. During the visit, the children also learnt about the work of the NSPCC and what they can do to help the charity. 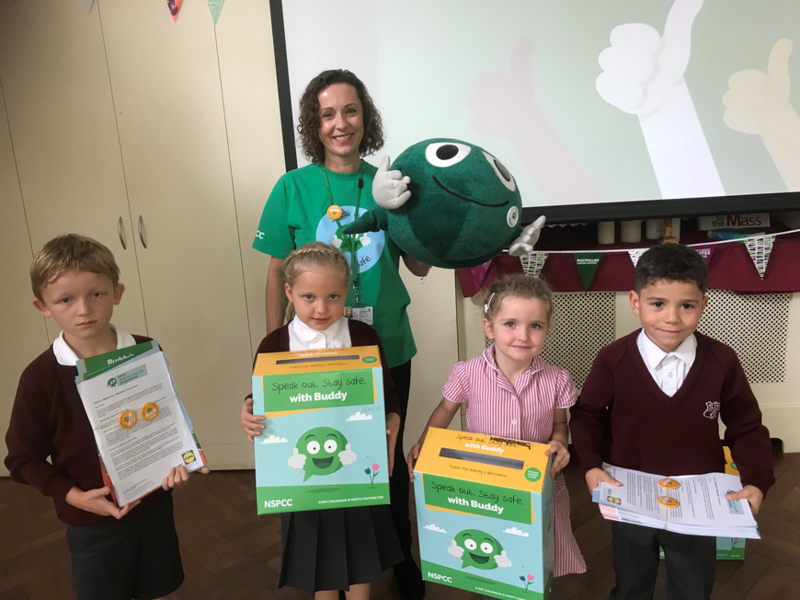 A number of fundraising events are planned over the coming weeks to raise funds for the NSPCC to support the great work that they do in keeping children safe from harm. See the pictures below from our two assemblies - KS1 and KS2. Letters have been sent out tonight requesting your support of this initiative.